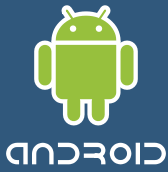 Android is Linux based mobile operating system developed by Google and Open Handset alliance . Google started development of Android OS from late 2005 after its acquisition of Android Inc . The First android based phone was HTC dream which is also known as T-Mobile G1 in US and Europe .HTC dream was a huge success and about 1 million units were sold as per T mobile statics . The second phone based on Android OS is HTC magic. 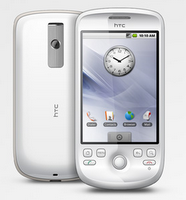 HTC magic was first introduced at mobile world congress in February 2009 and went on sales from April 2009 . The same HTC Magic is now available in India via Airtel . Airtel was one of the first company to introduce iPhone in India . Similarly now they have the credit of launching the first Android based phone in India by introducing HTC magic . Check out HTC Magic Indian price via Airtel and phone specifications . HTC magic specification includes the new Android OS 1.5 (cup cake update) . Hardware features includes a Qualcomm 528 MHz CPU ,512 MB ROM and 288 MB RAM . 3.2 mega pixel autofocus camera in HTC magic is capable of recording excellent videos upto 15 fps . HTC magic has a good TFT -LCD touchscreen display of 3.2 inch with 320×480 HVGA resolution . Communication features includes Bluetooth with A2DP .mini-USB and WiFi . HTC magic weighs 118 grams with 1340 mAh rechargeable battery . Airtel announced that they will offer 100 MB data download each month to a maximum of 6 months for all qualified HTC magic purchases . Portfolio Manager, Hello Tune Manager, Weather Channel, Mobshare ( mobile photo sharing) , In-mobile search and City Search are few Airtel enabled services that will be presents in each phone . Airtel has shown another sign of its attraction to latest mobile technologies by launching Android powered HTC magic smartphone in India . 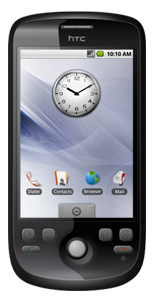 Earlier they launched HTC touch in selected cities for a price around 19000/- . The latest HTC magic price in India is set initially as 29900 /- RS and is available via Airtel customer relations centers and HTC resellers located at Delhi, Mumbai, Bangalore, Chennai, Hyderabad, Kolkata, Pune, Ahmedabad, Chandigarh, Jaipur, Coimbatore, Cochin, Ludhiana, Jalandhar, Lucknow, Bhubaneswar and Patna .